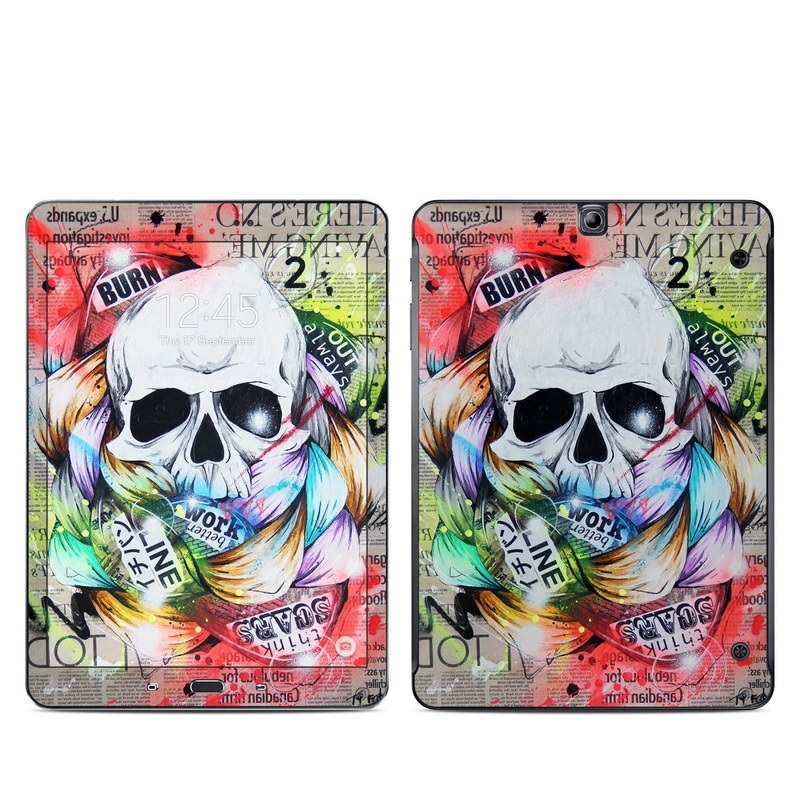 Remember, we offer over 1000 pieces of art as skins for your Samsung Galaxy Tab S2 9.7in. love this pattern. i have the gold colored tablet and this really dresses it up. i have used decalgirl to decorate several other items. this print is definitely my favorite. I purchased this skin for my Samsung Galaxy Tab S2. I have purchased a total of five skins throughout the years and have never been disappointed by DecalGirl. 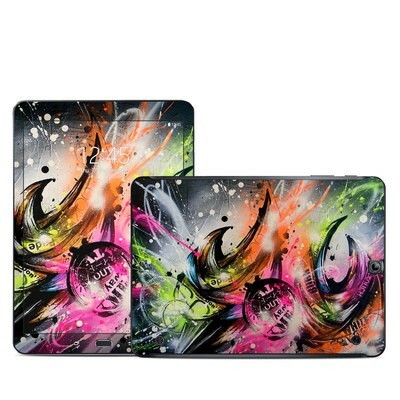 Their skins are so great, and the designs are so beautiful, they keep me coming back as a loyal customer. I've never been disappointed with any purchase I have made. The "feather dance" is just another gorgeous skin that protects and, that people will admire on your electronic or whatever you've purchased it for.